In 2083, chocolate and caffeine are illegal and Anya’s family has grown rich and powerful due to their criminal chocolate dealings. Orphaned due to mob violence, Anya has her hands full taking care of her siblings and bedridden grandmother. But things get even more complicated when poisoned chocolate enters the supply chain and Anya begins a forbidden relationship with the new District Attorney’s son Win. I should say that it’s not necessarily dystopian to live in a society where chocolate is outlawed, but Zevin does a really great job of showing us a crumbling future New York City which is on the brink of total collapse. Museums are long gone, replaced by underground nightclubs. People pay high fees for every liter of water they run out of their taps. And juvenile detention is rife with torture and corruption. Many early reviews have stated that this installment of the trilogy seems to be all set-up and no action – and I assume they mean in regards to Anya’s crime family and the fact that she’s not yet at the helm of it. I was quite satisfied by the plot that pitted Anya against both Win’s father (who makes a deal with her regarding dating his son) and enemies within her own family who may or may not be trying to bring the whole chocolate empire down so that foreign concerns can get more market share. Zombie chickens say: Don’t miss this one, but be careful what you eat. 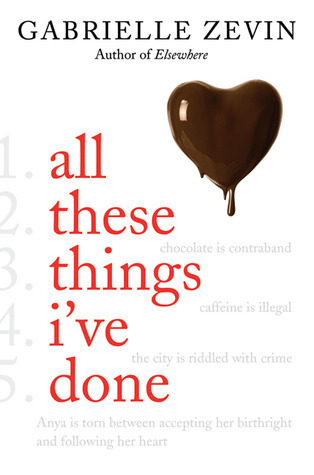 ALL THESE THINGS I’VE DONE will be published in just one month on September 6, 2011. It’s the first book of the Birthright Trilogy. Find out more about it, read a 30 page excerpt and see a behind the scenes video at the publisher's website. Add it to your GoodReads wishlist. Macmillan is sponsoring a giveaway of a prize pack that includes an ARC of the book as well as a package of chocolate-covered espresso beans. For a chance to win, fill out this form by August 13th at 11:59 pm CST. US and Canada only. Not "All These Things That I've Done" by The Killers? ;-) I can't see this title without getting that song stuck in my head. Uh, are you serious? This is a book? This is way too much fun! And yeah, for ME? Chocolate-less world = totally dystopia...just saying. No chocolate? Now that's just wrong! I'm chuckling. I would certainly be a member of a chocolate-smuggling family. I can't imagine what I would do if chocolate or caffeine were outlawed. It would be interesting if someone in that situation opened a speakeasy filled with bon-bons and espressos! I like the sound of this book and also that it's going to be part of a larger story eventually. Thanks for sharing this one! Personally I could live without chocolate, but not Coffee! I'd definitely turn into a zombie chicken. 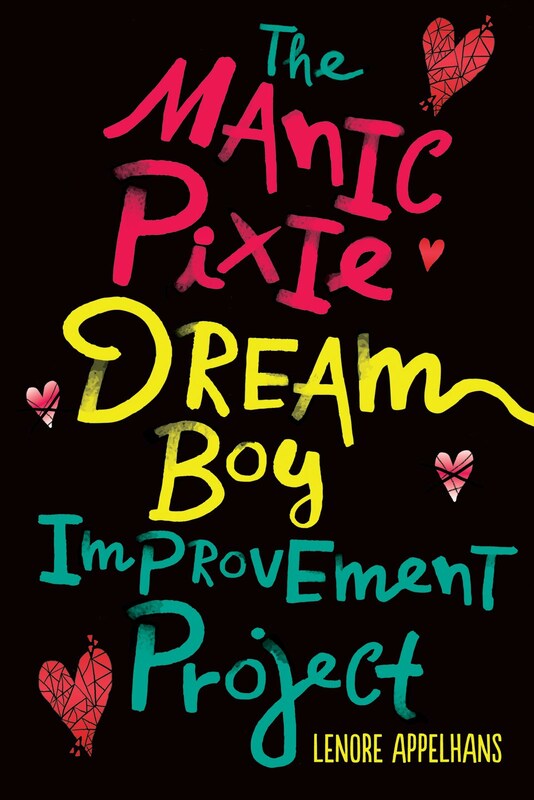 This book sounds excellent, going on the tbr list right now! I could live without caffeine, but no chocolate? This sounds like fun! I don't think I could live without my chocolate!! No way! I'm excited to have gotten a copy of this some months ago. I'm definitely going to be picking it up sooner than later knowing that it got 4 zombie chickens!